South Dakota is an agricultural state. With over 43 million acres of farmland spread across more than 31,000 farms throughout South Dakota, agriculture is by far the state's largest industry. In fact, South Dakota's agricultural industry stacks up pretty well nationally. South Dakota is the nation's leading producer of hay, alfalfa hay, and sunflowers, while ranking in the top ten in the country for virtually all other primary crops - sixth in corn, sixth in wheat, and eighth in soybeans. In addition, South Dakota is also a top producer of cow/calf pairs as well as sheep/lamb production and is the country's number one bison producer. 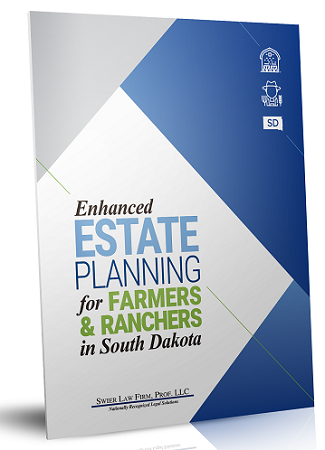 Farmers and ranchers across South Dakota are engaged in big business with significant financial interests at stake. 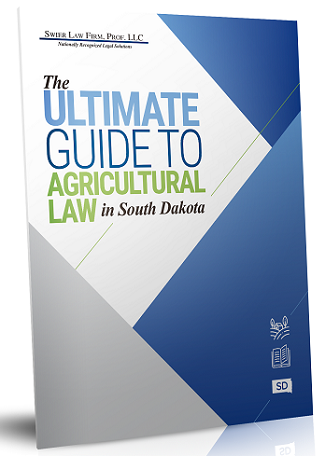 Business deals in the agricultural industry can quickly become complex, and farmers and ranchers are expected to keep pace with not only the latest industry news but also the "ins and outs" of the commodities markets, the banking industry, and the legal world. If you have ever asked an attorney a question about your operation, he probably answered, "It depends." Every legal issue arises with a specific set of facts and circumstances that can significantly impact the legal analysis controlling the issue. Swier Law Firm's Agricultural Law Practice Group understands that your operation is, first and foremost, a business. For that reason, the firm takes the time to understand each agricultural client’s business and tailors its representation to meet each client’s needs.